Trappist ales are consistently rated some of the best beers in the world – and in fact Westvleteren XII was named the world’s best beer in 2012 – but getting your hands on some of them can seem downright impossible. In 2012, St. Sixtus Abbey sent just 15,000 six-packs of the highly-coveted Westvleteren to the US according to NPR, and the abbey only makes 4,750 hectolitres annually – which equals just under 836,000 Imperial pints. While a few of the Trappist breweries, like Chimay, are more prolific, Trappist ales aren’t created on the basis of supply and demand. In order to comply with the rules of the International Trappist Association, monasteries may not turn a profit from selling their world-famous beers. Beer brewing must be secondary to religious pursuits, and all money earned from selling beer to the public must support the monastery, the monks themselves, and the surrounding communities and charities. There are currently only 11 Trappist breweries that are ITA-approved to sell beer as an Authentic Trappist Product, which means the supply of Trappist ales from many of those monasteries will never meet demand. However, that doesn’t mean you’re out of luck if you’re dying for a Dubbel or craving a Quad. Building upon the tradition of Trappist ales, abbey beers are crafted in the same style but aren’t required to have actual monks involved in the brewing process. That means you can get all the goodness of a Trappist ale in a commercially-produced beer that you’re actually able to find. For hundreds of years, monks brewed Trappist ales behind cloistered walls for their own personal enjoyment and for enjoyment by their local communities. However, in the decades leading up to and following World War II, Trappist beer began to earn a worldwide reputation for exceptional quality and taste. After the war, “Trappist” beers started popping up everywhere, and many had no association with monasteries whatsoever. To further protect the Trappist name, the International Trappist Association was formed in 1997, allowing only ITA-member monasteries that followed strict brewing rules to bear the Authentic Trappist Product logo on their ales. Those rules include brewing the beer inside the abbey walls by or under the supervision of monks – and that all proceeds from beer brewing be used to support the monastery and community. Because what qualifies as an abbey beer started to vary so wildly, the Union of Belgian Brewers introduced a new logo for “Certified Belgian Abbey Beer” in 1999. This logo was used to designate beers that were created under license to a current or abandoned abbey. To use the logo, a brewery had to allow the monastery to have some control over the commercial brewing operation and give a portion of the profits from the beer to the abbey or its associated charities. This helped to weed out breweries that simply implied religious connections by using the name of an abbey or saint and calling their product an abbey beer. Today, there are roughly 20 Certified Belgian Abbey Beers available – along with a significant number of “abbey beers” that haven’t obtained any type of certification. These beers are made in different styles, but there are three main types that are most commonly associated with Trappist ales or Abbey beers: the Dubbel, the Triple, and the Quadruple. According to Nick Anderson, beermonger at Arrowine, the Enkel – or “single” – was also an original Abbey style that’s comparable to today’s Session Ale and was made for everyday drinking. However, Enkels have become fairly uncommon as the other three types of Trappist ale have gained popularity. Anderson explains that while many people believe Dubbel, Tripel, and Quadrupiel refer to either the number of fermentations or the amount of malts, that’s not necessarily true. The names were given as warnings to the general public that the beers were stronger than normal – with the increase in number corresponding to an increase in strength. This remains true today, as Dubbles are often in the 6% ABV range, Tripels average around 8% ABV, and Quadrupiels are somewhere between 10% and 12% ABV – though some have been known to reach as high as 14% or 16% ABV. 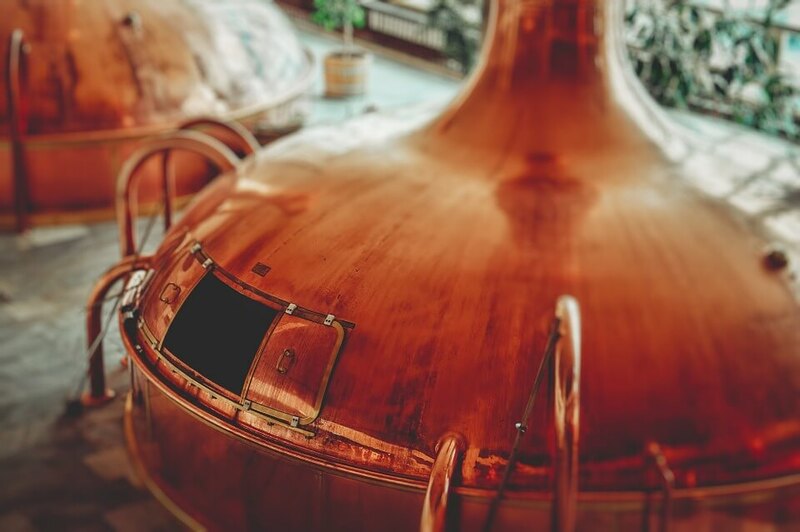 Of course, every abbey beer or Trappist ale has a distinctive taste that reflects the recipe, the ingredients, and the brewing process, but there are common characteristics that define each type of brew. Dubbels are usually Brown Ales with a russet color that comes from the caramelized sugar syrup used in many recipes. They often have a grainy flavor, a slight sweetness, and a caramel or fruity undertone with a gentle bitterness. Originally created by Trappist brewery Westmalle, Tripels are Golden Ales that tend to be strong and deep gold in color. With a clean wheat taste, assertive hoppiness and malty fruitiness, Tripels are subtle but show definite hints of stronger levels of alcohols. Dark brown or sometimes even black in color, Quadrupiels are the heaviest of the Trappist ales. With higher ABVs, Quads are known for a stronger, warm alcohol taste, along with an intense malt flavor, complex fruitiness, and balanced bitterness. It’s incredible to consider that group of monks who simply wanted to follow the Rule of Benedict and support themselves through the manual labor of brewing played a part in a craft beer craze nearly a century later. Today, the Trappist tradition continues in those ancient monasteries where the monks still tend to generations-old recipes – and in the abbey beers that allow a wider audience to experience the pinnacle of brewing known as Trappist ale. Whether it’s filled with authentic Trappist ale or certified abbey beer, raise your goblet to the Trappists, and then sit back and savor every sip.